If your doctor has suggested you for endoscopic sinus surgery to cure your sinus issue, then information about endoscopic sinus surgery recovery is essential to learn. 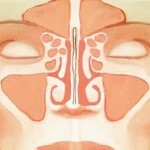 Mainly, it is a surgical process helps opening sinus pathways and allows mucus to drain properly. In this process, doctors erase mucus membranes and bone by which sinus pathways get collapsed. Use of Fiberoptic telescope in endoscopic sinus surgery eradicates the necessity of surgical incision in facial skin. Here, you will learn several things which one should expect to recover from this surgery. No surgical process is free of any kind of risks or complications along with benefits. 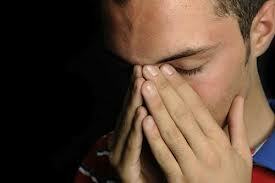 Similarly, you will experience some considerable risks and benefits in Endoscopic sinus surgery. It is less invasive and free of external incision. Due to its great benefits, several surgeons recommend this surgery for curing sinus issues. Although, the surgery gives exceptional results and does not cause major complications, though, it demands for intense care for quick recovery. With proper care of recovery phase for endoscopic sinus surgery, you can expect desired results without any side effect. To determine the mildness of this surgery, you should consider number of days that one spends in a hospital while endoscopic sinus surgery. 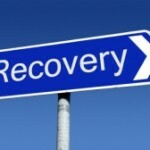 The complicated surgeries take great amount of time and several painful side effects to recover. For faster recovery, it is crucial to provide a patient adequate medical assistance and intense care. In minor surgery cases, a patient is required to take leave from work for only 3 to 4 days which is enough to get to normal. While diagnosis state, one can ask the surgeon if his or her surgery is normal or complicated. In normal surgery, post operative facts are lesser than complicated surgery. Whether, your surgery is normal, or you have to pass on a complex procedure, medical support after surgery is highly recommended for proper recovery. Though, the recovery time in complex and normal are different, but need of medical support and care is equally important. A patient who undergoes complex endoscopic sinus surgery procedure requires having bed rest for at least 7 days. 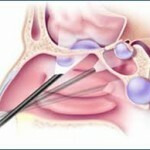 Complex procedure also accompanies septoplasty that causes pain after operation. In first few days, a patient has to bear intense problems and pain after surgery. 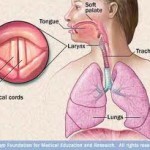 Breathing gets difficult due to pack of nasal area. Once packing is uncovered, breathing gets normal. For permanent results, one has to follow proper guidelines about things to do after surgery. 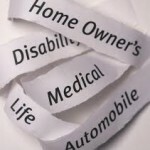 If you have any kind of query regarding your medicines, surgery, recovery time etc. then discuss with your surgeon of nurse; so that you can better care yourself. Until, you stay in hospital, you don’t need to worry about anything because there you will be in care of nurses and your surgeon. But when you will return to your home, then you have to look after you by yourself.